Before they move out, tenants are obliged to restore the initial cleanliness of the leased property, which sometimes can be a tough task. Not everyone has the necessary time and skills to deal efficiently with this duty. 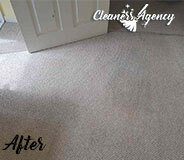 We are a young and progressive company, specialised in end of tenancy cleaning. In case you are about to move out from a property in Leyton, we would love to help you with the final cleaning. Our end of tenancy cleaning includes a comprehensive cleaning of everything inside the leased unit. The cleaning crew will degrease the kitchen area, clean inside and outside cabinets, cupboards, kitchen appliances, hoover thoroughly the carpets, wash the hard floors, wash the windows, wipe window frames and sills, polish the furniture, remove dust from skirting boards, sockets, light fixtures, etc. The service that we offer is available in Leyton and the nearby areas. As moving out is sometimes linked with deadlines, we have available teams also during the weekend. Further, our cleaning package is comprehensive enough to ensure a high standard of cleanliness but customers are always welcome to share their preferences regarding the cleaning process. As a cleaning company with vast experience, we are proud to have a team of sedulous and committed cleaners. All of them are professionally trained to work in a sufficient manner and eliminate easily different types of persistent stains. We are certain that you will find working with us profitable. Our representatives will leave every area of your leased property gleaming. 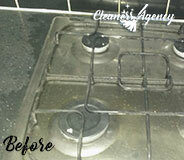 As our main objective is to ensure you a smooth transition, we provide guaranteed end of tenancy cleaning. If your landlord has any remarks on the achieved standard of cleanliness, you only need to inform us and our cleaners will visit you again for a re-clean. We are a customer oriented company and honour our promises. Whether you need to prepare your property for the inventory inspection or for the new tenants, our company is close to you in the entire Leyton. With us you don’t need to worry about a single thing. We offer you a service that suits your individual needs completely at a relatively good price. Everything your professional cleaners did was simply out of this world. I have no complaints! I know that I could not be happier with the end results. All of the rooms were cleaned from to bottom and there was not a bit of dust left. So impressive indeed! Dear client, we know how busy you are at work and with raising your children. We also know how little time you have left to take care of yourself. That’s why we want to help you. How? By keeping your home clean. Cleanliness is of utmost importance for your health – both physical and mental. Rely on us to clean your property and you’ll love it. We will not only save you time and effort, but we also save you money in the long term, too. Our professional cleaning company specializes in a number of professional cleaning services. You can book us to assist you with services like oven cleaning, deep cleaning, end of tenancy cleaning, and you can even rely on us for gardening maintenance and gutter cleaning services, too. 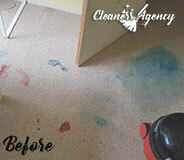 We at Cleaners Agency London have set high standards in the field of professional cleaning. 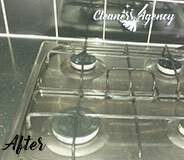 For a perfectly clean property – choose us. If you are about to move out of your rented place and you need extra assistance with the end of tenancy cleaning, know that you can always count on our company. We have been around Leyton for many years now and ever since our establishment we have been working hard to provide our customers with the best cleaning session to leave their properties in a pristine condition. Hundreds of people from Leyton have tried our end of tenancy cleaning service. To become our next happy customer, do not hesitate to give us a call at your earliest convenience. We work with professional cleaners each of whom has been properly trained to a high standard and knows how to deal with end of tenancy clean ups. To be sure that you are leaving on good terms with your landlord and keeping the security deposit in full, we are your best choice in the area. Tell us more about your preferences so that we can take them into account and meet your needs. We are all week at your disposal and we are waiting for your call. Do not hesitate anymore and call us right away. We are worth the money!